Like the rebels in the Death Star trench run, Disney is hoping that "Rogue One" can "stay on target" this weekend. It's been doing that so far. "Rogue One: A Star Wars Story" brought in $71 million at the domestic box office for its opening day on Friday. The film's Thursday night $29 million total is rolled into that number. 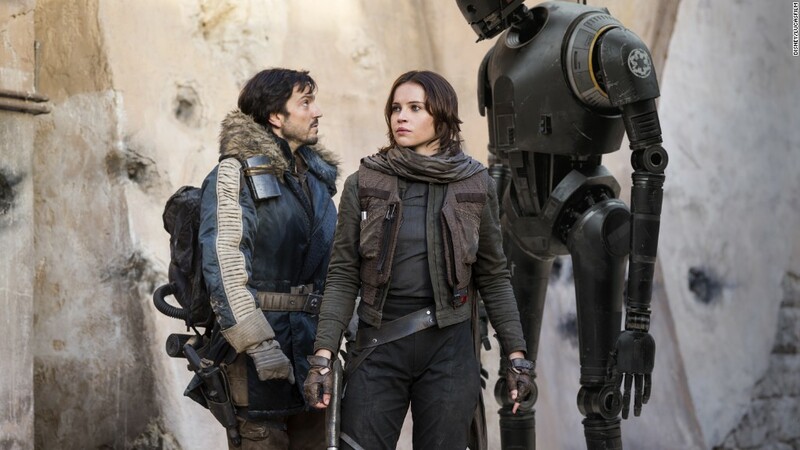 It's a solid start for the new film, but "Rogue One" still came up short of the record $119 million that last year's "Star Wars: The Force Awakens" brought in for its opening day. "Rogue One" is on pace for roughly a $140 million to possibly $150 million opening weekend, according to Disney (DIS). That would make it the second biggest "Star Wars" opening ever and one of the biggest debuts of the year. "Rogue One" has great buzz and positive reviews with it currently holding a 84% score on review site Rotten Tomatoes.